The spa is your paradise of bliss and wellness at Aura.We have beautifully appointed treatment rooms with ensuite baths and placid massage therapists to knead your worries away. Therapy here is rooted in the concept that our bodies have the instinctive capacity to self-heal. Therapists help channel the body's energy to immensely multiply the benefits of the treatments. We, at Aura, offer a plethora pf therapies, all watchfully selected to harmonise and improve the individual's objective for wellness. The comprehensive menu spans from traditional ayurveda, remedial massages, herbal beauty and revival treatments and many more. Our therapists recommend you come in for a consultation prior to your appointment which helps them tailor treatments to your needs. 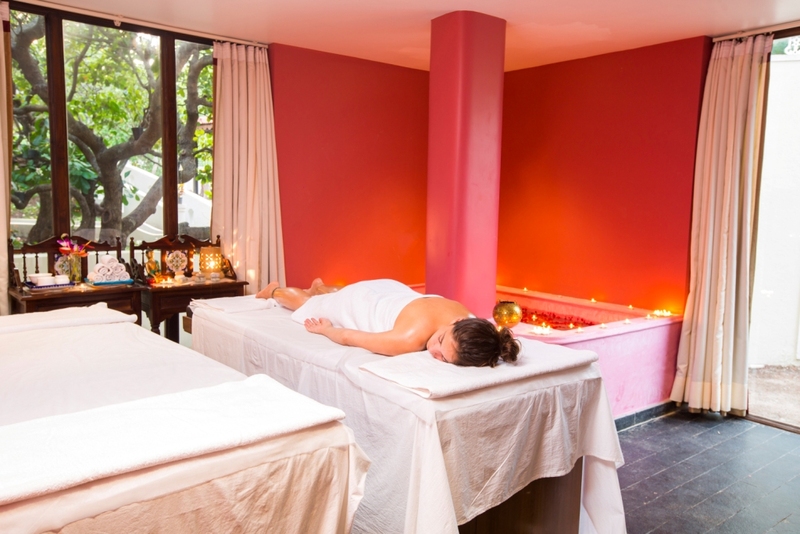 The body massage is followed by a warm cup of herbal tea and a spa conceptualized dessert to tender to your soul.